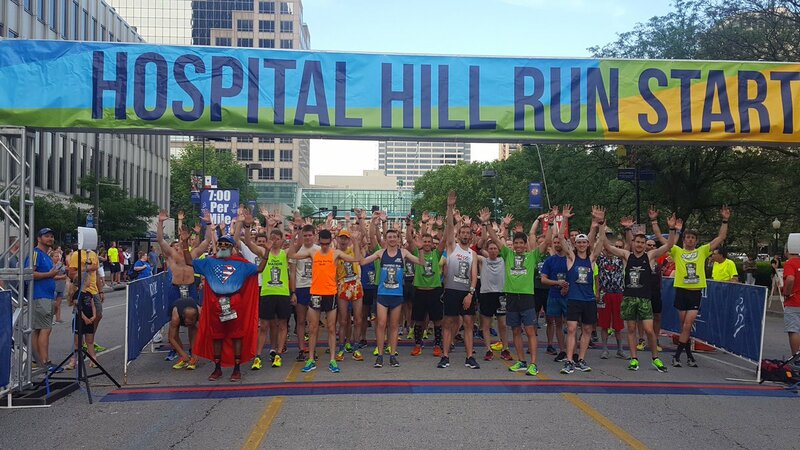 Hospital Hill Run has helped raise hundreds of thousands of dollars for local charities. Special Olympics of Metro KC was the first official charity partner in 1996. A partnership program, allowing multiple charities to use the race as their own fund raiser, started in 2008. Over the years, more and more charities have used the event to raise awareness and money. Volunteers have always been the backbone of the Hospital Hill Run. Each year, more and more individuals and groups come out over the course of 4 days to unwrap medals, pack post-race food packets, sort, stack, and pass out t-shirts, distribute bibs, set up and staff aid stations, cheer and steer participants on course, award medals, give wet towels, food, and hydration at the finish line, and then help clean it all up.. The race has grown from the beginning 99 runners to more than 5,000 entries. 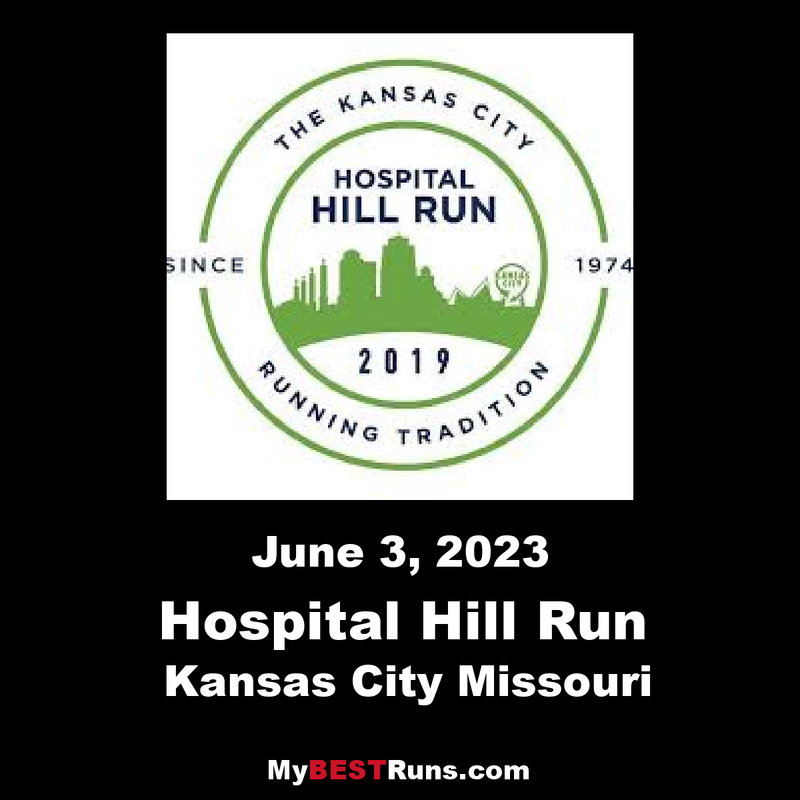 One of the older half marathons, this is a tough hilly course through Kansas, well run, well supported, offering a great sense of accomplishment for all finishers. The half marathon distance was added to the Hospital Hill Run in 1976 to complement the 6.8 mile event. 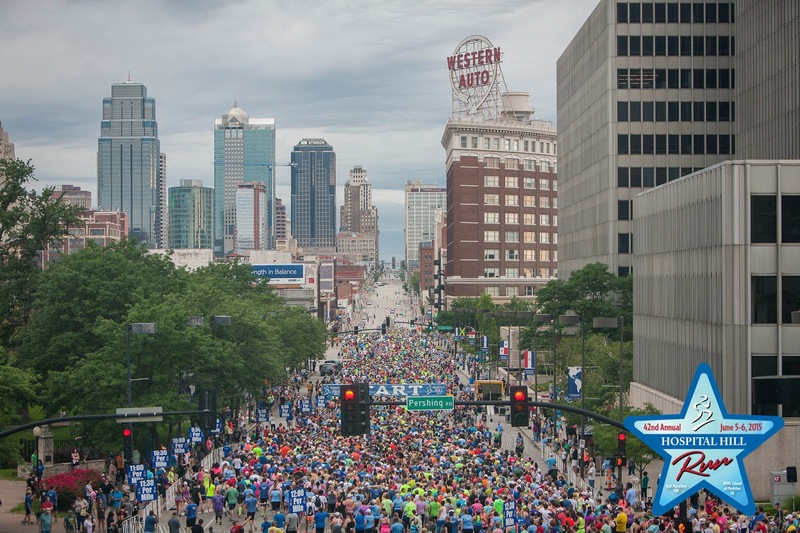 The half marathon course shows athletes some of the highlights of Kansas City including the Power & Light District, the Sprint Center, The Kansas City Star building, Hospital Hill, UMKC Campus, Brookside Neighborhood, The Plaza, Broadway Business District, theThe National World War I Museum and Memorial and finally back to the beginning at Crown Center.